Get all the Mac OS, iOS, and Gadget news from one place. HotMacNews3 app allows you to shake the phone or iPad to randomly choose from over 60 top news sites (constantly growing) and see the top news in the selected site. You can also manually choose a site from a list. News is provided by HotMacNews.com- the premiere Macintosh news and tips support site on the World Wide Web in a special iPhone format. If you prefer, there is a button to show the classic web version in which you can configure preferences to show up to 8 news sites and display the most current news from each of them. The app can even receive push notifications of special notices and Macintosh News (at this point only from our blog but more sites coming). Apple Watch Support Enhanced- Choose a site and see the latest headlines on your apple watch and open them on your phone!! 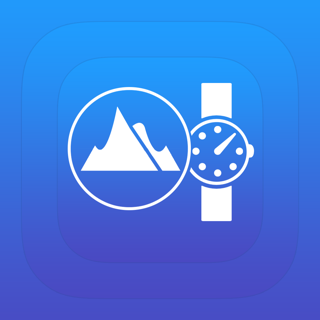 And Complication for watch face. Disclaimer: We are not responsible for content of sites on HotMacNews. Settings under iphone settings to change many features of the user interface including shake to change site sensitivity, sound on/off, sound choices, vibration on/off, and many other choices. HotMacNews is a free service of Mid Atlantic Consulting, Inc. and available to clients and non-clients. Clicking the support button at the bottom of HotMacNews app provides fast access to support services from Mid Atlantic Consulting, Inc. including email, phone, and IM support. Mid Atlantic Consulting, Inc. is a premiere Macintosh, PC, Networking, and Final Cut Pro support company with remote support worldwide and onsite service in DC, Maryland, Virginia, and now in West Virginia. • Apple Watch Series 4 support for Infograph Modular watch face. Honestly, I find that I never look at this app, and the only time it has sent me push notifications were for two things: 1. For the last WWDC it sent notifications; 2. It sent notifications tonight to tell me it was updating itself. Other than those two things, there have been no notifications at all. For these reasons, I am deleting the app. Thanks for a great app to keep informed of news and updates for Mac, iPhone and iPad, as well as other technology. Easy to use and navigate and best one-stop source for info on all my devices, and new and upcoming releases of software and hardware. Hot Mac News is my go-to site for all news about Apple and related stories. Maybe TMI, but it’s my last late-night reading before turning off the light. © 2009-2016 Mid Atlantic Consulting, Inc.